Machiavelli was referring to how loyal and competent a ruler's team is. The ruler's wisdom is reflected in her/his ability to select capable people and keep them loyal to him/herself. Machiavelli's insights are still useful today, however with the span of almost 500 years we can also look at this through an additional lens. Through research, and not just warm fuzzy feelings about inclusion, we know the more diverse a team, the more intelligent decisions the team will make. A diverse team has the ability to challenge my assumptions or perceptions. Nothing interesting starts with knowing. So, the modern leader, not only needs the wisdom that Machiavelli refers to of choosing capable people, but also the wisdom to select a diverse team. There has been lots of emphasis placed on diversity that is visible - such as gender and ethnicity. And this is a great place to start. But, what about the diversity that is not visible - thinking differently? different personalities? political persuasions? religions? educations? Working in a diverse team requires not just our functional expertise. We can no longer assume we have the same experience, same network and same perceptions as the rest of the team. Instead, we need a curious mind and a humble attitude. We need to be able to listen, really listen, collaborate, ask great questions, and think deeply. Finally, each member of a diverse team has to provide unique value. When a team is diverse there is no room for passengers. So each person on the team has to be able to balance listening, with speaking up with insight... No pressure! 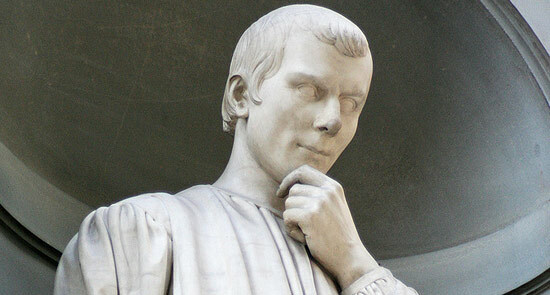 So, how would Machiavelli rate your team? Out of 10, how do you rate the capability of your team to meet today's challenges? Does your team have a mindset that enables diversity? is it curious? is it humble? Does your team have the skills needed to embrace diversity - listening, asking good questions, collaborating and deep thinking? Do you have any passengers?